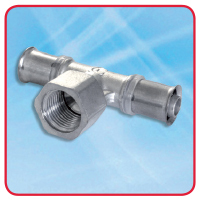 Maincor Equal Press Tee Fittings are used to branch off main distribution pipework, allowing effective distribution to multiple services. 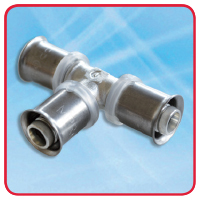 Maincor Reducing Press Tees are used to branch off main distribution pipework, allowing effective distribution to multiple services where reduction in size is required. 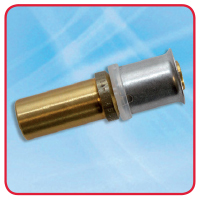 A BSP female thread connection is situated on the branch. 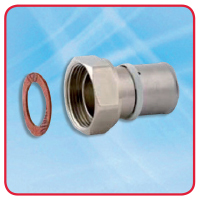 Maincor Straight Press to Male Connectors are used to connect multilayer pipework to a wide variety of system components. 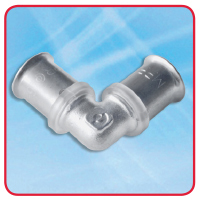 The Male thread is a BSP connection and is also used in conjunction with plumbers fittings to achieve final connections. 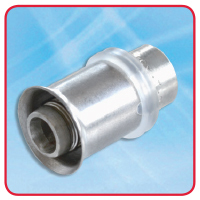 Maincor Straight Press to Female Thread Connectors with a swivel nut are used to connect multilayer pipework to a wide variety of system components. 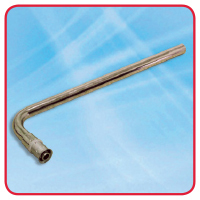 Maincor 90o Press Elbows are used to achieve a tight bend where a radius bend would be unachievable or undesirable. 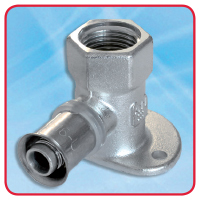 Maincor Press Elbow to Male Thread connectors are to be used when a 90o elbow is required when joining to a BSP connection. 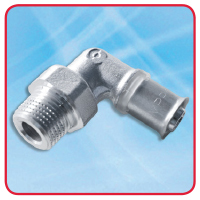 Maincor Press Elbow to Female Thread connectors are to be used when a 90o elbow is required when joining to a BSP connection. 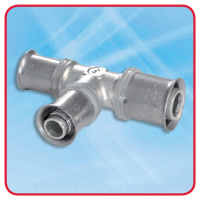 Maincor Press Wall Plate Elbows allow an outside tap or other similar connection to be piped in multilayer pipework and adapted to a ½” or ¾“Female thread. 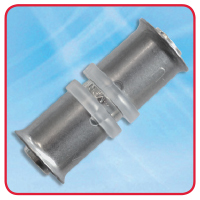 Maincor Press Stop Ends are used for quickly and permanently blanking Maincor MLC pipe. 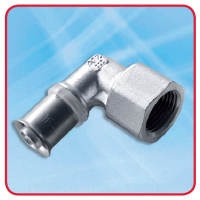 Maincor Chrome Press Elbows, by a simple press connection, give an enhanced and professional appearance to pipework on show, for example as a connection to radiators. 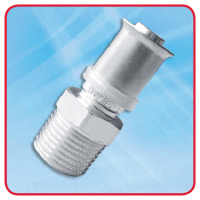 Press to Copper Tails are used to connect MLCP fittings to standard copper compression fittings to enable simple system connection. 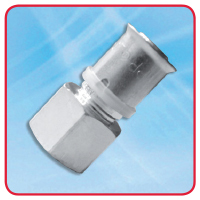 Soldered fittings are not to be used with the press to copper tails since it’s likely the internal O ring will be damaged by the heat.